Ganesh Kumaresh, the world-renowned Violin duo are known for their scintillating and spirited Violin recitals since three decades. Their music is laden with pure virtuosity and brims with novel surges of soul stirring creativity soaked in Classicism. Their creative idiom is international and their communication through music crosses all physical boundaries. Madhup Mudgal is one of the best known Indian classical vocalists of the present generation. He heads the Gandharva Mahavidyalaya, Delhi's leading and oldest institution for training in music, founded by his late father and first guru, Professor Vinay Chandra Maudgalya. The Maudgalya family has been immersed in music education, research and performances for over five decades. With his creative genius, Pt. 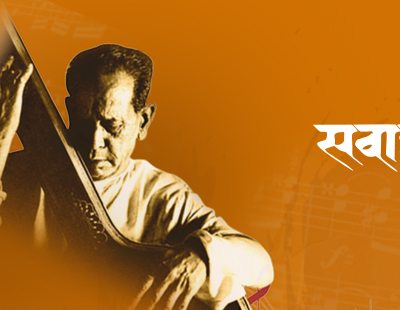 Shivkumar Sharma has created a new genre of instrumental music. Through his performance career of over half a century, he has created millions of new listeners and ardent fans of Indian classical music. His performances are such a brilliant combination of rich knowledge, perfect skill and abundant, spontaneous, creativity that all the sections of listeners feel enriched. Little surprised that his concerts are awaited by connoisseurs, music students, musicians and lay listeners alike.